The rise of hip-hop music has catapulted into a billion dollar industry. Thoughts of being in music videos, limos, and VIP club sections have millions of young men and women dreaming of instant stardom. Unfortunately, these individuals are so focused on material things they fail to realize this is a business. Though a cruel reality, not everyone is going to make it to 106 & Park. That doesn’t mean a person can’t have a successful music career outside of the limelight. No one knows this better than Nikki Strong AKA Nikki D, the first female MC signed to Def Jam. 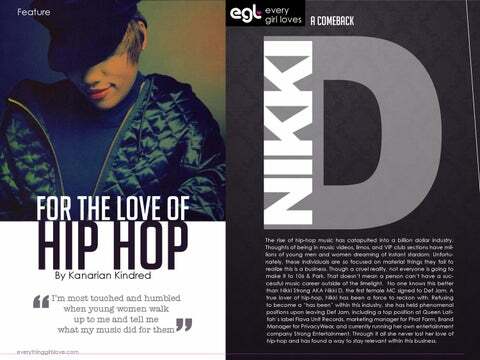 A true lover of hip-hop, Nikki has been a force to reckon with. Refusing to become a “has been” within this industry, she has held phenomenal positions upon leaving Def Jam, including a top position at Queen Latifah’s label Flava Unit Records, marketing manager for Phat Farm, Brand Manager for PrivacyWear, and currently running her own entertainment company Strong Entertainment. 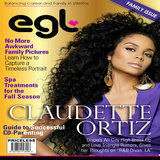 Through it all she never lost her love of hip-hop and has found a way to stay relevant within this business.